As part of your military service, you may qualify for educational benefits for you and your family. While there are specific benefits for active military and veterans, the College does offer some general incentives. Weekend, evening and online classes so you can build a flexible schedule that fits your life. Credit will be granted for your military training and experience. Credit is also awarded for CLEP, DANTES, College Board Advanced Placement Exams, Guide to Educational Credit by Exam and ACE National Guide to Educational Credit for Training Programs (CREDIT). Additional credit may be earned through the College’s Prior Experiential Learning Assessment Program. 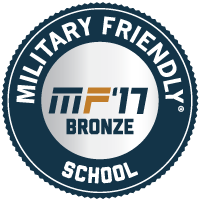 Supportive and knowledgeable military-friendly academic advisers are ready to guide you through your college career. Core member of the Servicemembers Opportunity College Degree Network System. As part of the College's participation in the Post-9/11 GI Bill® Yellow Ribbon Program, financial support for education and housing is offered to military veterans with at least 90 days of aggregate service on or after September 11, 2011, or individuals discharged with a service-connected disability after 30 days. 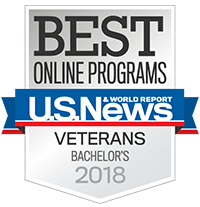 For more information on all the benefits offered to veterans, visit the Veterans Benefits section of the College website. With St. Joseph's military discount, you can earn your college degree at little or no cost — at $250 per credit, you may be covered by Tuition Assistance (TA) for up to 10 credits per semester. For more information on benefits for active military, guard and reservists, visit the Active Military Benefits section of the College website.